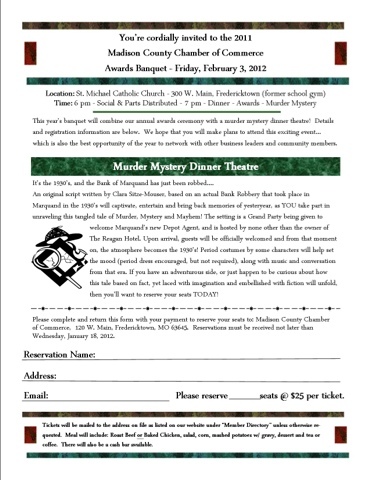 Madison County Chamber of Commerce has a night of entertainment for you! They cordially invite you to spend the evening with the great folks of Madison Count and experience a magnificent murder mystery produced by the always charming Denny Ward. Tickets are on sale now, this is sure to be a great show!